Tricentis Tosca helps enterprises plan, construct, stabilize, and execute resilient automated regression tests for Salesforce applications. Simplify Salesforce testing and ensure that Salesforce functionality works flawlessly in the context of complete (end-to-end) business transactions. Use a single solution to test across Salesforce, APIs, web, GUIs, mobile, mainframe, and more—with service virtualization and test data management to stabilize test automation. Automate Salesforce Classic and Lightning controls and components through easy UI scanning (Tosca Salesforce Scan). Scan console applications like Service Cloud to capture and automate all controls, including frame and tab switching, quick actions, and side panels. Use API testing to directly test Create, Read (Including SOQL), Update, and Delete operations. Let Tricentis Tosca’s intelligent object recognition eliminate the pain of dynamic IDs when testing Salesforce Visualforce pages. Tricentis Accelerator Packs help accelerate test automation for packaged applications through prebuilt, reusable “automation templates.” With little to no customization effort, users can add their own business data and adjust individually automated test sequences. 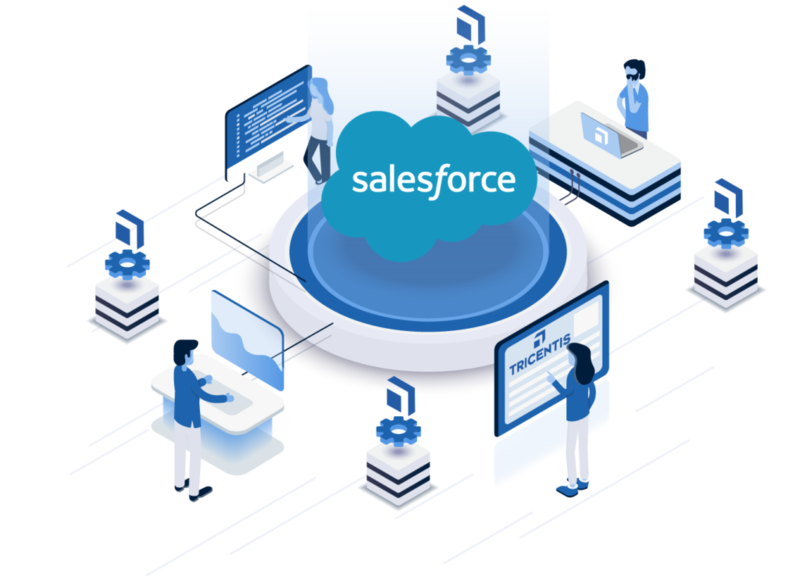 The Salesforce Accelerator provides 400+ business process models as well as manual and automation test packages that incorporate proven best practices to accelerate Salesforce Sales and Service Cloud deployments. Learn how Varian provider of medical devices and software that fight cancer transformed their Salesforce testing to accelerate innovation.